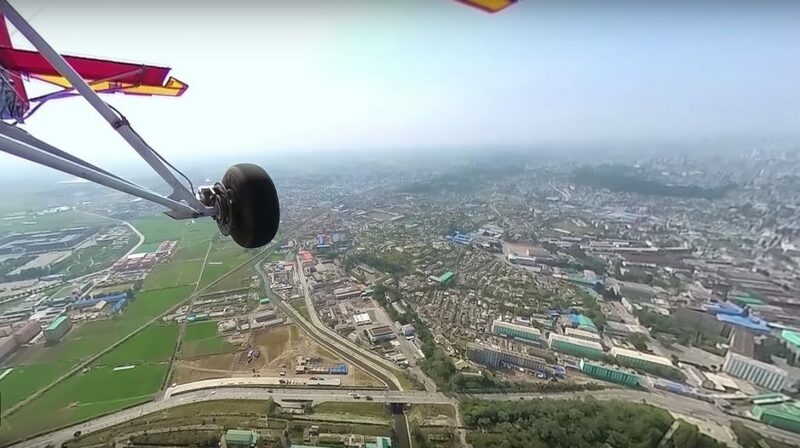 Aram Pan of DPRK360 shot the world’s first aerial 360 video of North Korea. Besides the documentary importance of his video, it’s noteworthy for the camera he used: a Yi 4K+ with an Entaniya 280 lens, which lets us do a very informal comparison against the same Entaniya lens on a Go Pro Hero 4 Black, which he had also used in another video of North Korea. 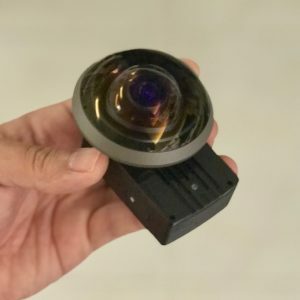 As you can see, the video from the Yi 4K+ with Entaniya 280 is almost fully spherical, which is why Entaniya touts its ultra-ultrawide lenses as “one shot VR.” Aram converted the circular fisheye video into equirectangular format using Kolor Autopano Video Pro. The video has excellent image quality. It looks very detailed, has good contrast, with minimal chromatic aberration, and of course, there are no stitch lines. Note: Although Yi 4K+ can shoot 4K at 60fps, Aram explained that the 60fps is only in 16:9 mode. To get the full circular fisheye view, you need to use a 4:3 aspect ratio. When you shoot in 4:3, the Yi 4k+’s resolution is 4000 x 3000, with a frame rate of 30fps. To me, it’s pretty clear the Yi 4K+ looks better. It will be interesting to see how it fares against the Hero 5 Black and Hero 6. Whether you prefer the Yi 4K+ or the GoPro Hero 4 Black, you can use the same lens. But to do that, you’ll need to get a Ribcage mod kit. – Here is the mod kit for Yi 4K and Yi 4K+. Alternatively, you can get a pre-modified Yi 4K here. – Here is the mod kit for Hero 4 Black. – There is no mod kit for Hero 5 Black, but you can get a Ribcage-modified Hero 5 Black. – The Entaniya 280 is available here. We could convert the circular fisheye video into equirectangular format just using Mettle Skybox. No need of Kolor Autopano Video Pro. Am I right?